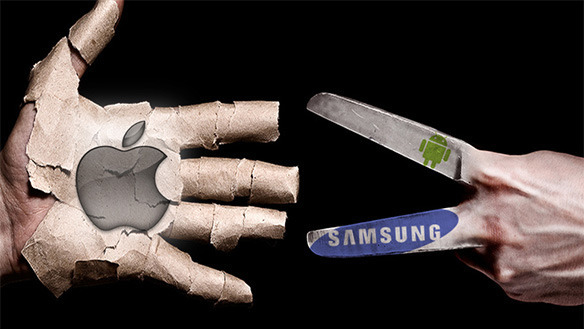 In the latest episode in the ongoing patent infringement battle between Apple and Samsung, UK judges have ordered Apple to rewrite a statement on its site concerning the judges’ ruling in favor of Samsung. After a ruling by the UK Court of Appeal on October 18th, Apple was required to post a notice on its UK site to let consumers know that Samsung did not copy the iPad with their line of Galaxy tablets. Apple now has 24 hours to remove the criticized post from their website, and must put up a rewritten version within 48 hours. They will also have to put a note on the homepage of their UK website about the incorrect statement with a link to the revised one, as ordered by the judges. There is no doubt that this far from the last we’ll hear about the continuing legal war between the two companies, and the heat from both sides will most likely continue to rise as infringement suits and appeals continue to play out internationally.